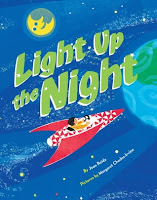 This week, I watched the free hour of the mini Picture Book Summit. The hour was amazing and super informative. I am definitely going to participate in the full day also! 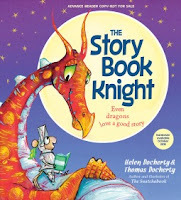 The action step from Emma's tip was to read some newly published picture books and write a one sentence hook for each. This sentence should be juicy and include the main character, the general plot, and the theme while dazzling the reader to entice them to read/ask for the manuscript. I love a little challenge and am posting my hook sentences here. Leo's parents send their gentle little knight out into the world to tame a dragon with a new shield and sword, but Leo insists on taking his... books? 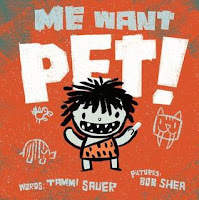 Cave Boy tries to find a pet that doesn't cause too many problems; a woolly mammoth, a saber-toothed tiger, a dodo bird - oh my! 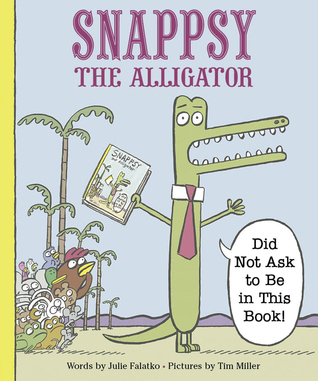 Snappsy the Alligator: did not ask to be in this book! What will Snappsy the Alligator do when he realizes someone is narrating his ordinary day while trying to make it extraordinary? This was an enlightening activity. Of course, I would spend much more time on my dazzling sentence if it were for my own book that I was submitting. 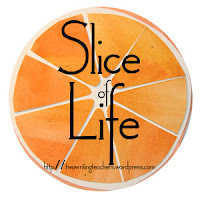 Thanks to Two Writing Teachers for hosting. I love the idea of one sentence hooks! This would work great with my middle schoolers, too! 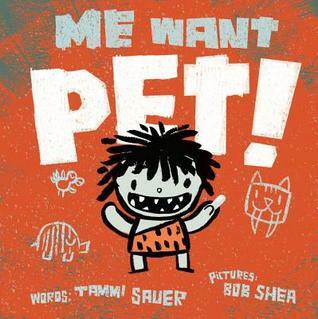 I've been thinking a lot about picture books and their uses in writers workshop. This sounds like a good activity to practice summarizing. YOU hooked me! Great sentences. What a fun activity to try with students!